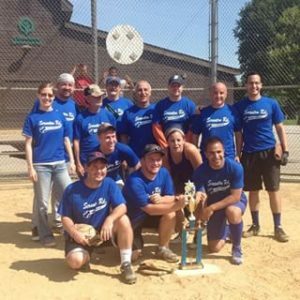 Scranton Road Bible Church forms a team each summer to play in the West Side Church Softball League. Games are held on Saturdays begin at the end of May through late-August at Brookside Park in Cleveland, Ohio. Please contact Jeremy Abraham if you are interested in playing. Scranton Road Bible Church forms a team(s) each winter to play in the Co-ed Grace CMA Winter Volleyball League. Matches are held on Thursday evenings (at either 6:30pm, 7:50pm, or 9:10pm) from January through April. Teams play in one of four divisions based on skill level (Beginner/Recreational, Intermediate, Advanced Intermediate, and Power Level). Pick-up/Open Gym matches are held from October through December, and team registration takes place in November. Please contact Wes Farra (waf13@case.edu) if interested. If there is enough interest, multiple teams can be formed!